Episode 676: How to strategically create cornerstone content, with Stephen Woessner. Good Morning Onward Nation – I’m Stephen Woessner and welcome to today’s solocast on creating cornerstone content in order to strategically drive new revenue. Before we dive into the strategies that I wanted to share with you this morning – I first wanted to say thank you. Thank you for making 2017 the best year for Onward Nation – the most downloads we have ever had…the most countries we have ever reached…and the most impact we have ever created. Each and every day – my team and I are so very grateful for your generous gift of you sharing your time with us by listening to our episodes and then sharing your feedback by letting us know – thumbs up or thumbs down and how we can get better the next time. I am honored that you choose to invest a portion of the 86,400 seconds you have each day with our guests and with me. So I want you to know how much I appreciate you and that we are committed to raising the bar – the standard of excellence – the value we deliver to you. We as business owners – each of us every day – when we wake up and our feet hit the floor – need think of ways to deliver even more value to the customers and clients we have the privilege of currently serving – and – the customers and clients we look forward to serving in the future. 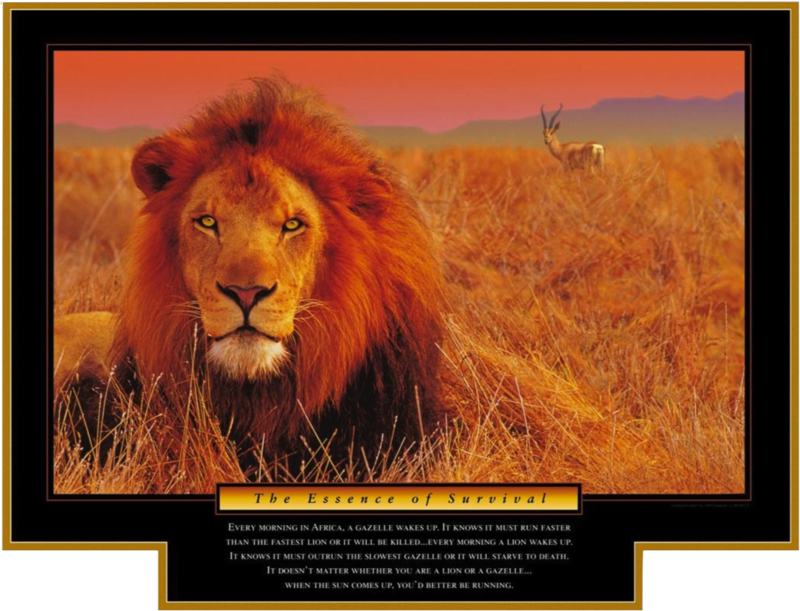 There needs to be that insatiable hunger in you that drives your business to give more…to create more…to deliver more…because when that hunger is there…it not only elevates your business to that next level – but – it protects you by giving you what you need for survival. I have a Successories quote hanging on the wall behind my desk that encapsulates how I feel about the power of starting the day with the right momentum. So thank you, Onward Nation, for being the driving force for my Predictive ROI team and I. We appreciate all of the hugs you have given us – and we appreciate the pushes, too. Please know – we are working hard to get better each and every day and please keep the feedback coming. During Episode 659: How to Monetize Your Content several weeks ago…I shared some insight into why I firmly believe that most business owners look at marketing through the wrong end of the lens – and because of this – they tend to see an incomplete set of vital metrics – and consequently – they miss opportunities in lead gen, selling, and driving revenue. Onward Nation…in addition to expecting your sales and marketing efforts to create and nurture demand for your product and service offering…your marketing, and the cornerstone content you create to power it, should also represent a profit center in your business – not a cost center. Yes, you should get paid to create content. And that is possible when you begin looking at your marketing through the correct end of the lens. You will see revenue opportunities beyond lead gen and customer acquisition. You will begin to see the opportunity for sponsorships, events, book deals, speaking engagements, and much more. During Episode 659 several weeks ago…I shared tangible examples of what I call Cornerstone Content. I defined what cornerstone content is and shared several specific strategies for how you can monetize the cornerstone content you create. So for today…we are going to take a step backward in the process – well before monetization – because I want to share with you a strategic framework that you and your team can use to create the content that you will later monetize. And yes, I agree – this does seem a bit backwards. Why share content monetization strategies before sharing the strategy framework that makes it all possible? I decided to organize it this way…because if you are like me…and most business owners…I thought I need to paint the picture of what was possible in Episode 659…to give you a why this matters…because I could give you the road map for the “How”. So for today – I am going take several pages right out of the Predictive ROI cookbook so it can guide the strategic conversations you should be having with you and your team. This recipe contains the actual ingredients my team and I use when we are on-site working with clients during our 2-day intensives. The topics are deep…the topics will likely push you and your team to think creatively about your business development…and will challenge you to hold each other accountable. This framework will chart the course for you and your team so that when you wake up, you can start running and confidently know…you are running in the right direction. And ultimately, as a result of this process…you will be able to look at your marketing through the correct end of the lens, which will help you move your business onward to that next level because your marketing will no longer be a cost center – but a profit center for your business. Let’s get started by reviewing what I believe you and your team need to accomplish during Day One. Begin the process with a deep dive into your point-of-view – your position about why you do what you do within your business. Your point of view, or POV for short…is a bold statement about what you believe to be true. It might be provocative and thought-provoking…maybe even controversial. It may be turn off a wide swath of people who are not your audience – but for those who are part of your tribe, or could be…it will be a beacon in the night for them. When you say it…when you share it…when you build content around it…your tribe will hear and respond. Your POV will help you build an audience – it is that magnetic. And because of these attributes of a well-crafted POV…it may take some digging to find it. It typically doesn’t reside on the surface. You and your team will need to push each other to find it. It’s not about customer service, features, advantages, or benefits. It is about experience – why a customer chooses you over the myriad of other options in the marketplace. To help…think of some thought leaders and what they stand for and what their brands stand for…or what their positions stand for…or how they built a category when previous to them entering the market…the category didn’t even exist. 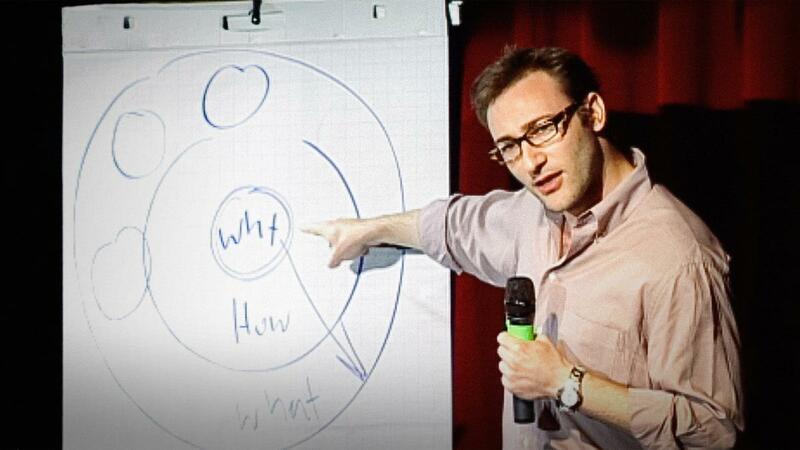 Just like Simon Sinek did when he encouraged us to “Start with Why”. Simon now owns that very simple phrase – but because of his POV – and the cornerstone content he builds around it – it is very clear what he stands for and it drives everything in his business. Here’s my point. You can do the same thing in your business when defining your POV. You just need to take the time to do it. So…ask yourself…what do you stand for? What is the flag you want to plant in firm ground? And don’t move on to the next piece in the process until you have your POV complete. Next…who is it you want to serve? I often to refer to the client avatar lessons I learned directly from Darren Hardy, former publisher of SUCCESS Magazine. In fact, if you go to Episode 308 of Onward Nation: Why Your Dream 50 Matters…you will find a detailed recipe for mapping out and identifying the attributes of your client avatar. But identifying the attributes of your client avatar is only one piece of the puzzle. You need to take that a step further by converting the avatar into a list of your Dream 25 prospects – these are the people you would most like to serve as clients for your business. What are Your 3 Unique Attributes? So how do you do that? Enter LinkedIn. Here again…another free resource for you. Just go back to Episode 455: How to Effectively Use LinkedIn Like a Pro and you will have access to our full recipe on using LinkedIn to identify your Dream 25 prospects. The recipe is comprehensive – but working through it – will give you everything you need to ensure you are using LinkedIn effectively to fill your sales pipeline. Next…you and your team will need to identify three unique attributes to your brand – what truly makes you distinctive in the marketplace? What do you provide that no other company provides? We help clients get clear on their point-of-view. We help them create high-quality cornerstone content that cements their POV into the hearts and minds of their audience with consistent thought leadership. We help clients drive revenue by transforming their content into a Trojan Horse of Sales, which you can learn more about this strategy back in Episode 600 where I break it down in full transparency. We also help our clients attract an audience so a third party brand will want to pay to gain access to our client’s valuable audience. All of this combined typically represents a 5x to 7x return on our client’s investment, which gives Predictive ROI a compelling – and unique – value proposition. So what are your three uniques? Repeat the process three times to keep peeling back the layers. And by the third time…you will arrive at something truly unique about your offering. Okay, by this time in the day – you will have accomplished a lot – your team will likely be ready to wrap and be finished – and deservedly so – you have checked some large boxes off the list. There is just one more box that needs to be checked to complete Day One – and that is to give your process for delivering your uniques…a name. At Predictive ROI…we call ours The Predictive ROI Method. I encourage you to keep it simple. Simple is best because if you are not careful, it will start to sound like marketing hyperbole, a bit slick, and too showy. And you don’t need that. Keep it simple. And then go celebrate with your team – you just accomplished some serious business development and strategic work. Okay…now that you’re back and refreshed for Day Two, which is all about defining what type of cornerstone content you plan to create — and — how you will define success and measure your progress along the way. You will begin the process by deciding what type of content will become your cornerstone. For example…do you prefer to speak or do you prefer to write? If you prefer to speak, you may want to consider a podcast, speaking engagements, or a video series as your cornerstone. Or, if you prefer to write…you might select blogs, articles, books, or research reports as your cornerstone. Or, you may enjoy aspects about both. For example, I enjoy interviewing guests for our Onward Nation episode – but – I also enjoy writing books. So for now, these are my primary cornerstones. So what do you prefer? To begin – you only need to – and only should – select one cornerstone. Then master the system and process with it before you select another one. Ideally, you should have at least two because that will keep you from being seen as a one trick pony – true thought leaders build their platforms by sharing their content across multiple channels, which gives – or creates the impression – that their content is everywhere, which of course it isn’t – but it sure seems that way to their target audience. Your POV will be the anchor within your cornerstone content. Each and every episode – every article – every blog post – will all point back to your point of view, which continues to plant your flag in firmer and firmer ground. And one of the most powerful aspects to creating high-quality cornerstone content is the amount of leverage each piece of content gives you through slicing and dicing. For example…you could take one of your podcast episodes…and transform it into 10 tweets, an eBook, top insights briefing that can be shared with your best customers, etc. Or, you could distill the content from 100 episodes down into a research report that truly sets your company apart from competitors in your industry. The point is that there a myriad of ways for you to slice and dice your cornerstone content into additional “spokes” that move out from the hub…and each spoke helps you extend your thought leadership even further and attract an even larger audience. Once you define the type of cornerstone content you will be producing and some of the spokes – the slicing and dicing that each cornerstone will provide you…it is time to begin formalizing your 1 and 3-year plans. Obviously, 3 years is a long time given the dynamics in tech, ever-changing economy, and the other factors that make predicting the results of a 3-year plan challenging at best. So for this exercise, I recommend you focus your attention around what success would look like for you at the end of 3 years. How will you know when you have reached where you wanted to go? Is that a number of employees, is it the size of audience, is it the amount of revenue generated by sponsorships, is it the number of attendees at a private event you are hosting, or how you have turned your business into a media channel? If you don’t take the time for you and your team to conceptualize a 3-year view of your business – then you may lose valuable time aimlessly wandering the wilderness, much like a leaf blowing in the wind. Identify your most vital priorities – the core things that you must accomplish or nothing else matters. What are the measurables? How will you know when you have arrived – what does it look like? What is the tactical plan? Who is going to do what, and when? What are the obstacles or roadblocks that will likely rise up to get in your way – and if they do – what are the likely solutions that can be executed quickly? Accountability – who will be held accountable, to what, by whom, and when will checkpoint meetings or scorecard reviews be held so that progress can be evaluated and course corrections can be made if necessary? So…as we bring today’s solocast to a close…I want to leave you with one more example as to why this final thought regarding the strategic framework that we just reviewed. When you get this right – you give yourself the freedom and flexibility to build the kind of business that you want – that you desire – to truly live the kind of life that you want to live. 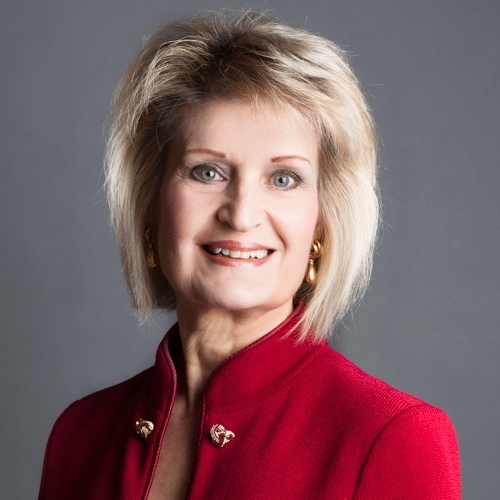 Recently, I interviewed Dianna Booher for an encore episode, which airs on Monday, February 5th as Episode 678 – and during our discussion – Dianna explained how she was able to sell her company because of the reputation she had built in the industry as a thought leader because of her books, training courses, and other ways she helped create impact with her audience. Her body of work is impressive and she was rewarded for it – and you can follow a similar path if you are willing to put in the work. So with that said…I want to again say thank you. Thank you for being here…thank you taking some of your invaluable 86,400 seconds you have today and sharing them with me. Please drop me a line at Stephen@predictiveroi.com and let me know what you thought of today’s solocast – thumbs up or thumbs down. I always want to know what you think so we can continue to get better and better and be of greater value to you and your team. We will be back tomorrow with an encore interview with Eric Levenhagen. You may remember Eric from the tax planning strategies and recommendations he shared way back in Episode 25. And when the new tax laws were passed, Eric and I quickly compared schedules to get him back from an encore interview. I wanted Eric to share his insights and recommendations from the perspective of a business owner to help make sense of the new legislation – but even more importantly – what you can do about it to protect yourself, your family, your business – while minimizing the taxes you pay. What Eric shared could represent tens of thousands in tax savings for you and your business.